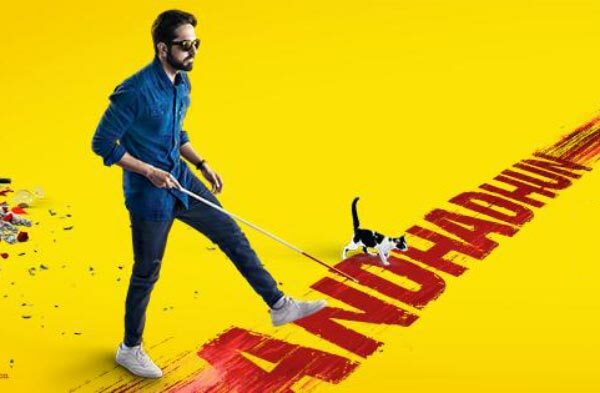 Andhadhun अंधाधुन Movie 2018 is a Bollywood Romantic, Thriller & Comedy film. The Starcast of this new hindi film are Ayushmann Khurrana, Tabu, Radhika Apte, Anil Dhawan, Zakir Hussain, Ashwini Kalsekar, Manav Vij and Chaya Kadam. Sriram Raghavan is the Director. Production Companies are Viacom 18 Motion Pictures and Matchbox Pictures, also the Movie was released on is 5th October 2018. The Story and Screenplay writer are Sriram Raghavan, Arijit Biswas, Pooja Ladha Surti, Yogesh Chandekar. Producers are Viacom 18 Motion Pictures and Matchbox Pictures. 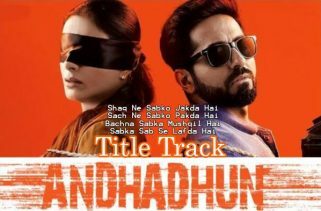 Amit Trivedi has composed the Music. Jaideep Sahni is the Lyricist. Singers are Amit Trivedi, Abhijeet Shrivastava, Aakanksha Sharma, Arijit Singh, Shadab Faridi and Altamash Faridi. The Music is originally belongs to Zee Music Company.